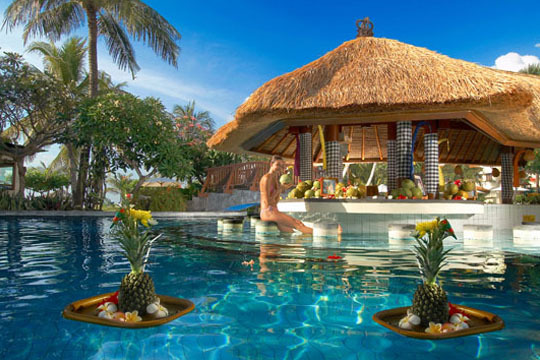 With a selection of rooms, suites, apartments and villas and a very popular all-inclusive option, the Grand Mirage Resort & Thalasso Bali offers affordable indulgence alongside one of Bali’s most pristine beaches and the warm azure waters of the Indian Ocean. Situated in Tanjung Benoa, just 20 minutes from Ngurah Rai International Airport and 5 minutes from the luxurious Nusa Dua enclave, the location is ideal for guests who also want to explore the beauty and culture of Bali. 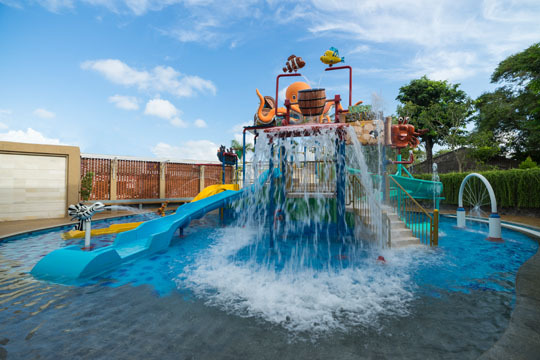 The resort boasts a huge range of facilities and activities making it a great choice for families. Bamboo Kids Club offers fun activities for 3-13 year olds, with babysitting also available. 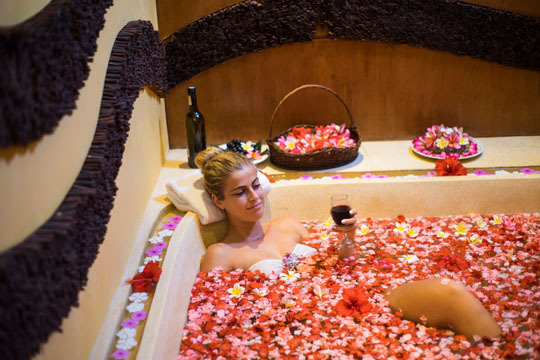 There are also four gourmet restaurants, the impressive Thalasso spa, tennis courts and plenty of water sports on offer. The resort features 380 modern and stylish garden or ocean view rooms, suites, apartments and villas set around a lagoon-style pool. Family rooms include the delightful Kids Suites with one king and bunk beds, two bathrooms and an airy balcony to offer plenty of space for a family of four. For larger groups there are three-bedroom options like the Ocean View Apartment featuring three en suite bedrooms, a large living area, kitchen and a glorious balcony. 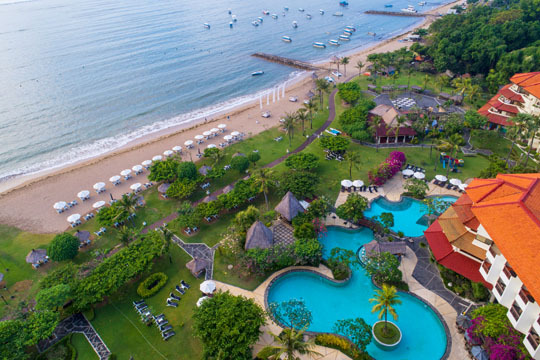 The Grand Mirage Resort & Thalasso Bali’s range of all-inclusive packages include unlimited food and beverages, water sports, resort activities, airport transfers and selected add-ons like entertainment and mini bar.